Ready for a Smoky Mountain vacation that's out of this world? 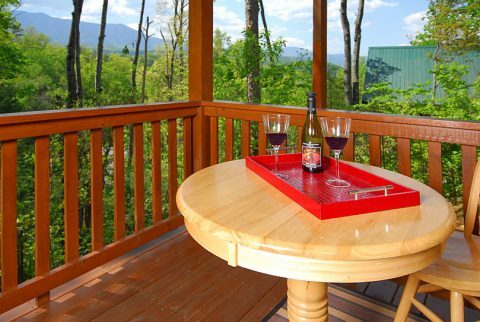 Simply book "A Grand Getaway" in beautiful Black Bear Falls Resort in the heart of the Smokies! 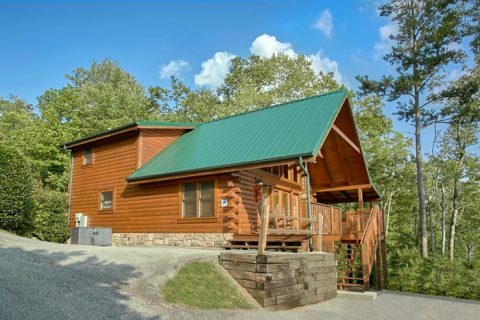 This luxury 3-bedroom cabin boasts a gorgeous mountain setting only a short drive away from all the fun things to do and see in the Smokies! 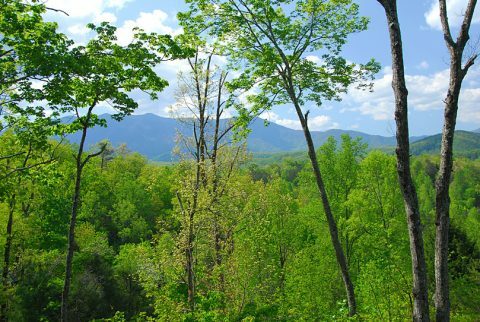 Better yet, you won't have to travel far from Black Bear Falls Resort to have a great time. 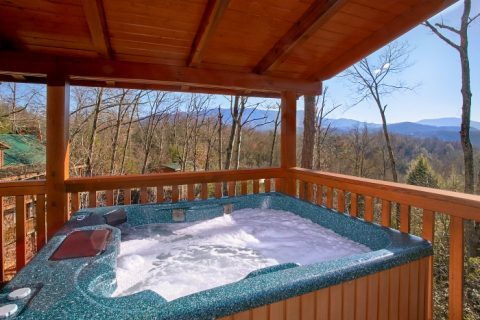 Guests of this cabin will have access to a seasonal resort pool and tons of great in-cabin amenities! 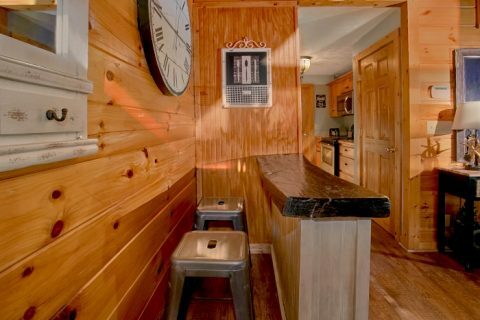 Step into the main level of your cabin and you'll find a comfortable space for relaxing with those who matter most. Large cathedral ceilings, picture windows, and a lovely stacked-stone fireplace make this room truly inviting. 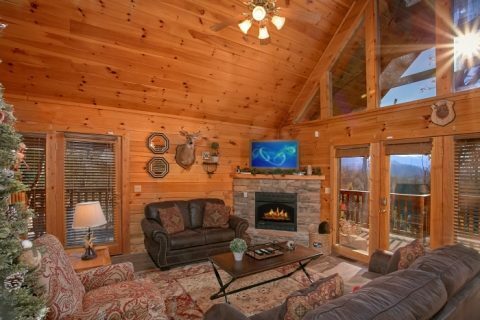 Along with comfortable leather furniture, this room boasts a 47" HDTV for watching television near the warm fireplace. 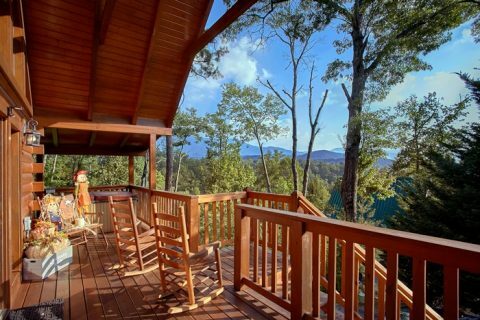 From the living room, guests can access the cabin's deck with stellar mountain views. 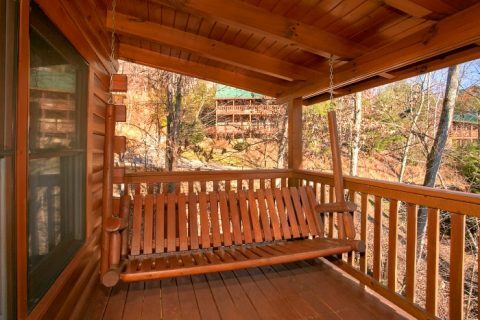 Enjoy this peaceful spot surrounded by the trees by soaking in the hot tub, swinging on the porch swing, or rocking on a porch rocker. 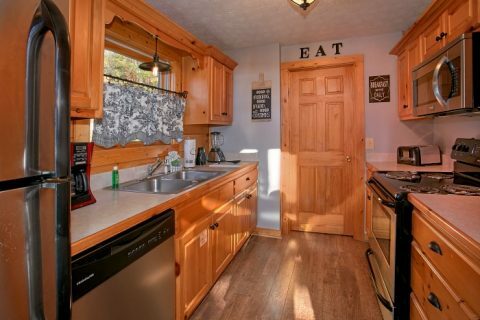 For enjoying great meals on vacation, this convenient cabin is close to great local restaurants, but this premium rental also provides a full kitchen, dining area, and charcoal grill for making tasty meals. 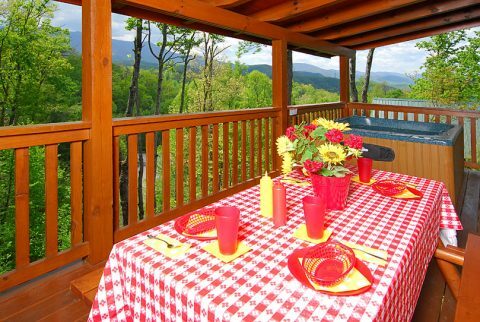 With the picnic table out on the deck, you can enjoy lunch surrounded by the beauty of the Smokies! 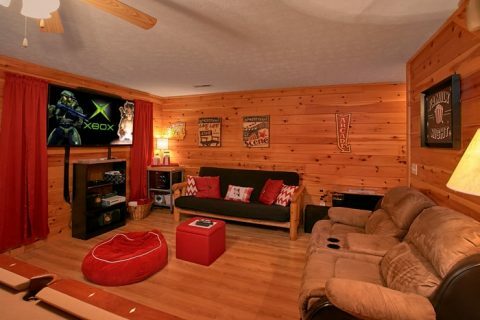 Downstairs, you'll find the theater room with a large 65" HDTV, surround sound, and a Blu-Ray Player. Make some delicious popcorn in the popcorn machine and sit back in the theater-style recliners to watch your favorite movie or catch the big game! 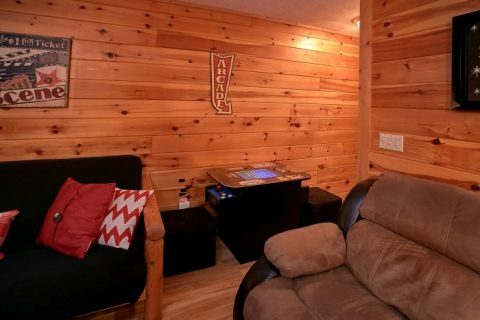 This part of the cabin also has a game room with an Xbox 360, board games, pool table, a sit-down arcade game for two players, and an additional stacked-stone fireplace. 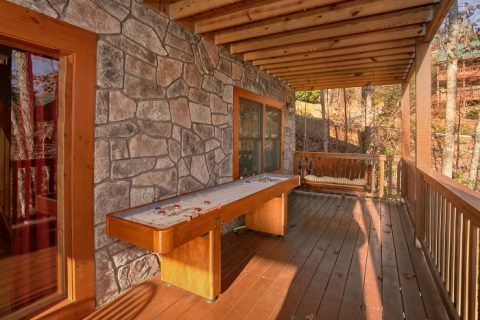 Outside on the lower deck, you'll find a shuffle board for even more in-cabin entertainment! 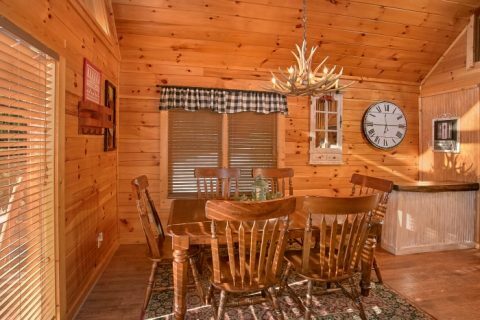 With room for up to 8 guests, your resort cabin is a great fit for families or a small group of friends. 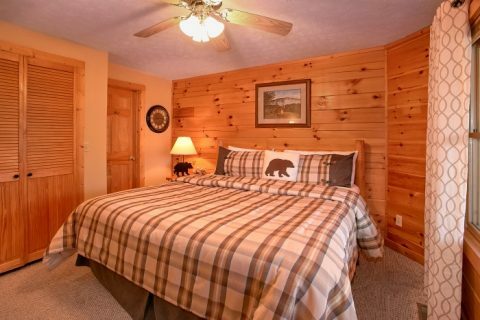 Each level of your cabin features a king-size bedroom complete with a private bathroom, television, and DVD player. 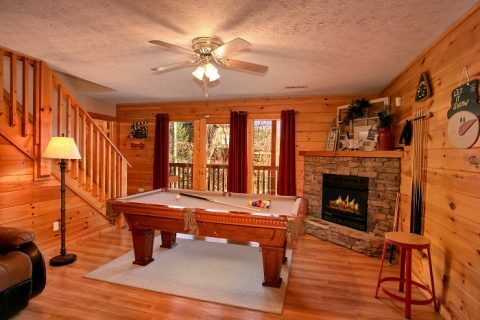 Additionally, the game room offers a futon and the living room provides a sleeper sofa to accommodate extra guests. 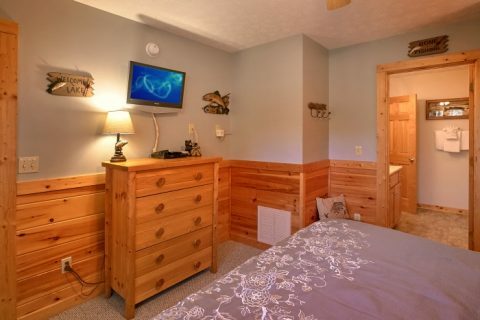 In addition to a resort swimming pool and a home theater, this cabin also provides guests with WiFi and a washer & dryer. 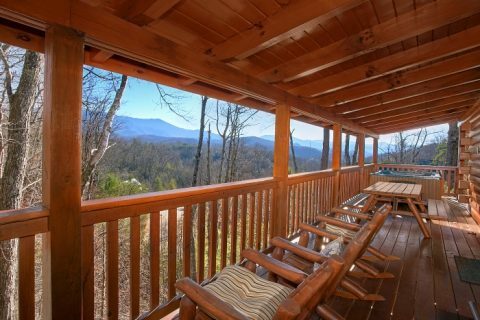 Book your premium Smoky Mountain cabin with beautiful views today and save big when you book with Cabins USA! 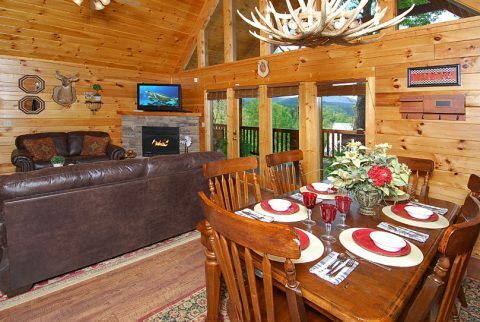 Simply call our reservations office or check availability for this cabin online today!